Brickell Movers – There aren’t many things more difficult than a move. Wouldn’t it be nice to offload the hassle to the experts? Discount South Florida Movers has decades of experience being those experts. We guarantee that we will transport your belongings in a safe and timely way. Best of all, our rates can’t be beat in the area! No matter what type of move you are planning, we do it all. Business or residential, near or far, we do it all. Do you need to move a piano? We can handle that for you. How about furniture disassembly and reassembly? We do that too. At Discount South Florida Movers, we do it all. If you need to move, we are the experts in Florida. Brickell is a neighborhood in Downtown Miami. Already the most densely populated neighborhood in Miami, it has a rapidly growing population of 31,000. It has also passed northern neighbor, Miami’s Historic Central Business District to become one of the largest financial districts in the country. Much of the population also work in the neighborhood at one of the many firms located there. There are 3 sub-districts. South and West are mostly residential neighborhoods while most of the office buildings are located in the Financial district. The city also has a thriving public transportation system. They are located on the Metrorail and there is a Metromover system that spans 3 lines. It’s the perfect area for someone who wants to live where they work. 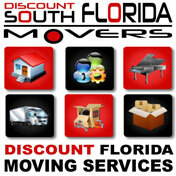 Discount South Florida and Brickell movers provide low rates on residential, commercial, piano and long distance moving.